Zoe Saldivar is more than just single – she’s ALONE. She recently broke up with her longtime boyfriend, she works from home and her best friend Jen is so obsessed with her baby that she has practically abandoned their friendship. The day Zoe accidentally traps herself in her attic with her hungry-looking cat, she realizes that it’s up to her to stop living in isolation. Her seemingly empty life takes a sudden turn for the complicated – her first new friend is Jen’s widowed mom, Pam. The only guy to give her butterflies in a very long time is Jen’s brother. And meanwhile, Pam is being very deliberately seduced by Zoe’s own smooth-as-tequila father. Pam’s flustered, Jen’s annoyed and Zoe is beginning to think “alone” doesn’t sound so bad, after all. My take: A Million Little Things is the third book in the Mischief Bay trilogy but it can stand alone. Zoe is frustrated with how she’s let others determine her life and happiness to this point. She’s not happy with her job and isn’t sure she made the right decision in buying a house. After all, she bought it because she hoped her boyfriend would want to get married and they could raise a family there. Then reality stepped in and she broke up with the boyfriend. Zoe’s friend Jen is married and has a toddler. She also is filled with anxiety about almost everything in her life. Even though her husband, mother and Zoe try to convince her to get help she’s determined to get control of things herself. I really felt sorry for her. Anxiety is not an easy thing to live with and that’s what she tried to do. Pam, Jen’s mom and a widow of two years, is learning how to live without her husband. She’d been doing a pretty good job of it until her loved ones started throwing challenges her way. They weren’t necessarily bad things but they challenged her idea of how things should be. She was starting to feel out of control. Lucky for her she has a tight-knit group of friends. But then they started to make her question how she was reacting to situations. An interesting predicament, for sure. I liked this novel about people learning to make adjustments in life. Being able to do that means growth, I think. And don’t we all want to keep growing as we move forward in life? I read the second book in the trilogy and look forward to reading the first at some point. If you’re a fan of Susan Mallery and contemporary fiction I think you’ll enjoy A Million Little Things. 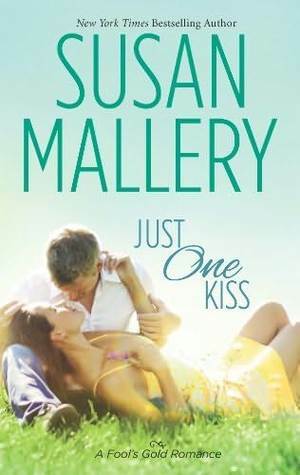 #1 New York Times bestselling author Susan Mallery has entertained millions of readers with her witty and emotional stories about women. Publishers Weekly calls Susan’s prose “luscious and provocative, ” and Booklist says, “Novels don’t get much better than Mallery’s expert blend of emotional nuance, humor, and superb storytelling.” Susan lives in Seattle with her husband and her tiny but intrepid toy poodle. Visit her at www.susanmallery.com. My take: Shelby Gilmore, sister to Kipling who was featured in a previous book in the Fool’s Gold series, has decided it’s time to take control of her future by dealing with her issues from the past. The main issue is that she can’t trust men. Her abusive father is responsible for that. 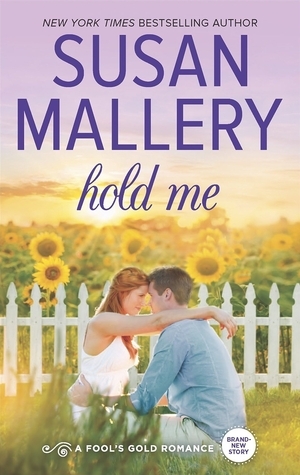 She decides to ask Aidan Mitchell, a guy she barely knows, to help her overcome that issue by being a friend. Nothing more, nothing less. If nothing else, she’ll find out if it’s even possible to be friends with a guy. But can it be that simple? Aidan is at a point in life where he decides being friends with a woman sounds like a good plan. He has come to the realization that having an eternal string of “girlfriends” who never last more than a week might not be the greatest way to go through life. In the end, learning to trust another person could be easier for these two than learning to trust themselves. 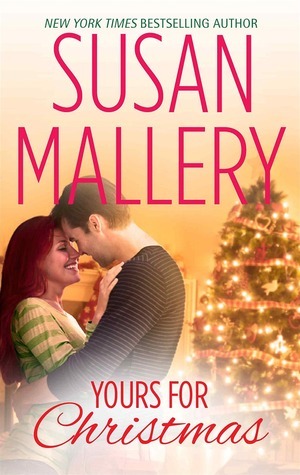 Susan Mallery wrote an entertaining love story with an unconventional premise. Filled with many familiar characters from the series, I can say it’s not necessary to have read any of the previous novels but it was fun to see what was new in their lives. Recommended to fans of the Fool’s Gold series. I thought it was a nice, easy vacation read. Description: After five years as a stay-at-home mom, Gabby Schaefer can’t wait to return to work. Oh, to use the bathroom in peace! No twins clamoring at the door, no husband barging in, no stepdaughter throwing a tantrum. But when her plans are derailed by some shocking news and her husband’s crushing expectations, Gabby must fight for the right to have a life of her own. My take: So we have Gaby who looks forward to going back to work when her twins start school, Hayley who wants nothing more than to have a baby no matter what the cost, and Nicole who doesn’t want to trust her heart to anyone. I think my favorite character was Hayley because of her emotional dilemma. I really felt sympathy for her. That said, she really needed some therapy to work through her issues. I imagine a book group would have a lot to discuss about her and the other two main characters – especially groups whose members are raising young families. I’m past that stage so when I got a little frustrated with the characters I chalked it up to where I am in life. Recommended to fans of the author and women’s fiction.